There is still time to prepare your application to file for the 2016 Florida R&D Credit. 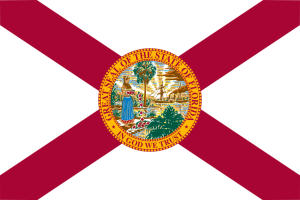 Florida has made changes that make the credit easier to obtain for eligible businesses. The annual credit limit has been increased to $23 million for the 2016 application period. Florida has also made the credit available on a pro-rated basis rather than a first-come, first-served basis. This year, businesses can apply between March 20 and March 27 for qualified research expenses incurred within the preceding year. If total credits for all applicants exceed the credit limit, the amount will be awarded on a pro-rated basis. Florida’s R&D Credit is 10% of a taxpayer’s prior calendar year qualified R&D expenses after subtracting a base amount. The base amount is the average of the taxpayer’s qualified R&D expenses over the previous 4 tax years. Qualified research expenses must qualify under the Internal Revenue Code and be incurred in the state of Florida. Taxpayers in target industry businesses must claim the research credit on their federal return in the same tax year as the Florida credit. Florida’s credit cannot exceed 50% of a taxpayer’s corporate tax liability for the taxable year. Excess credit can be carried forward for up to 5 years. Please contact Advanta Tax Advisors at info@advantataxadvisors.com or call 678-638-6131 to discuss whether your business is a good candidate for the Florida research credit.